The European Parliament’s Brexit Coordinator Guy Verhofstadt has suggested that Tory Brexiteers who reject a soft Brexit deal will be sent to the guillotine like the leaders of the French revolution. 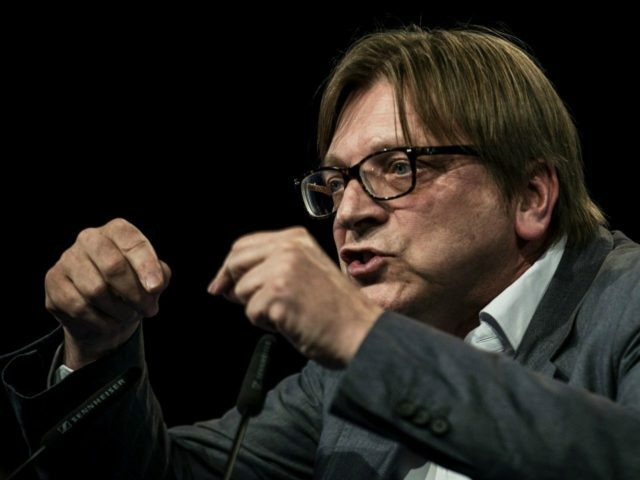 “Within the Tory Party, the hard Brexiteers are compared to the leaders of the French Revolution,” Mr Vehofstadt said during a press conference at the European Parliament in Strasbourg, France, on Tuesday. “I think Gove is Brissot, Boris Johnson is Danton, and Rees-Mogg is compared to Robespierre. “But we should not forget that the efforts of these men were not appreciated by the Common Man they claimed to represent because they all ended up on the guillotine. The Europhile made the comparison ahead of a meeting with the UK’s Brexit Secretary Stephen Barclay, part of the minister’s tour to gain support for changes to Prime Minister Theresa May’s Withdrawal Agreement after Conservative MPs said they would not back it unless the Irish backstop is removed. Verhofstadt’s comments come a week after President of the European Council Donald Tusk said he wondered whether there was “a special place in hell” for Brexiteers who promoted leaving the European Union. The threat of damnation for those daring to support leaving the EU was raised again on Tuesday by the staunch Remainer and Scottish Nationalist Party (SNP) MP Stewart M. McDonald during the prime minister’s Brexit statement, when he asked whether Brexit campaigners would be sent to Dante’s Inferno. “I’m sure, Mr Speaker, that the prime minister is ferociously well-read and would have read the 14th-century masterpiece Divine Comedy, which is home to Dante’s Inferno, the nine circles of hell,” Mr McDonald said in the House of Commons.